Where else can you have Raggedy Anne do your cleaning and Darth Vader working on your teeth assisted by a lady pirate? Happy Halloween from Dunedin Family Dentistry!! Our Third Annual Back-pack Giveaway was a huge success, and we really feel privileged to have been able to give so many kids a good start to the new school year. 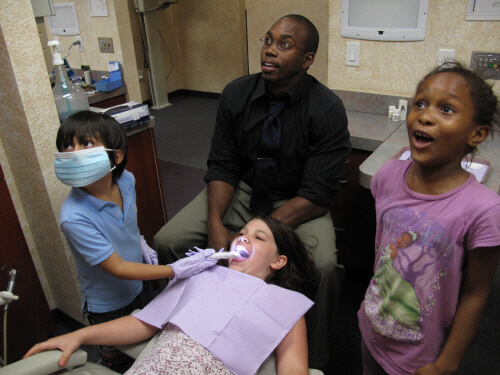 We recently had the pleasure of hosting a school field trip, meeting an energetic and fun group of kids and teaching about good dental habits.